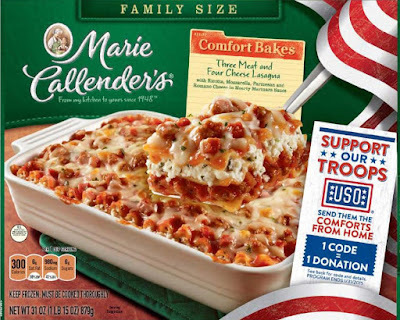 From September 1, 2015 through January 29, 2016, consumers can help give to the USO Operation Celebration program by entering the on-pack code from one of the more than 51 million specially-marked Marie Callender’s frozen meals or desserts at ComfortsFromHome.com. Each code entered online equals a $0.50 donation to the USO. For every entry by 1/29/2016 of an 8-digit code found on participating products, Marie Callender’s will donate $.50 to the USO Operation Celebration program. Guaranteed minimum donation: $100,000. Maximum donation: $300,000. Limit 5 code entries per person/computer each day. Valid in U.S. Only. The USO Operation Celebration program is dedicated to provide a "home away from home" for our deployed troops stationed around the world to make sure every holiday, small or large, is celebrated. The program ensures that our troops have a place to celebrate every holiday, with or without their families, bringing the comforts of home that can often be taken for granted, such as seasonal meals, company, entertainment and a chance to relax away from the stress of active service. Last year, with consumers’ overwhelming support, Marie Callender’s brought care packages to a very deserving group of servicemen and women stationed overseas through a $250,000 donation to the USO2GO program. 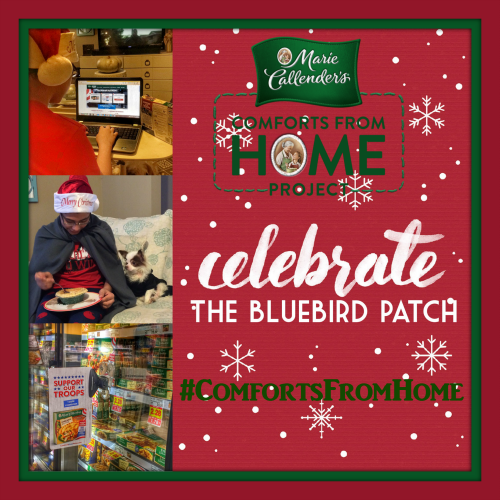 In addition to the on-pack promotion, the Comforts from Home Project will partner again with Scripps Networks to give deserving military families touches of home within 3 popular TV shows: Guys Grocery Games (Food Network), Kitchen Crashers (HGTV and DIY Network) and Hello Goodbye (Travel Channel).